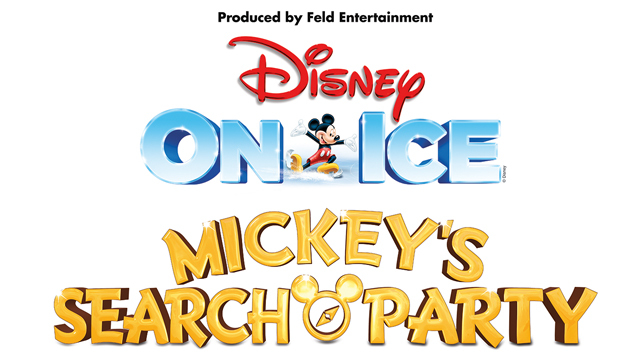 New Disney on Ice Coming to Fairfax! IS COMING TO FAIRFAX, OCTOBER 3-7! GIVEAWAY!!! I am excited to announce that I have a family 4-pack of tickets to give away to one lucky reader. Tickets are for the opening night show on Wednesday, October 3, 7:00pm at Eagle Bank Arena in Fairfax. To enter to win, simply leave a comment on this blog post. I’ll draw and notify a winner on September 20th. Good luck!!! POSTED IN: Disney On Ice, Disney On Ice Discount, Disney On Ice Presents Mickey's Search Party, Eagle Bank Arena, Giveaway, Mickey's Search Party, Washington D.C.
My third baby (Teddy) was born at the end of September and he has brought so much love and joy to my family! He is a super happy baby and I can’t help but smile when I look at him. He has completed our family in every way. 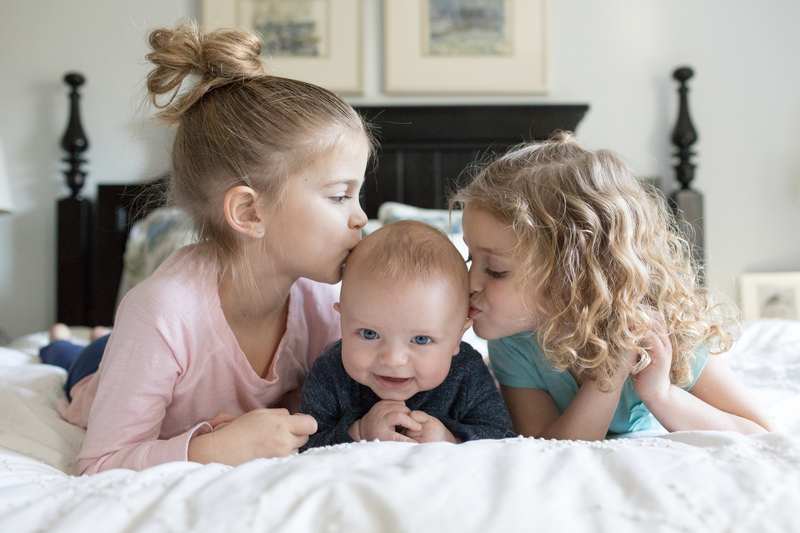 But adding another child to our crew has definitely not been easy! In fact, it has been extremely challenging in many ways. I’m just having to figure out how to prioritize, balance, and do things a bit differently now that my life is even more crazy busy. One thing that is especially hard is making time for myself. But I’ve realized that I can be the best mother to my kids if I make sure to fill up my own tank. So, I try to get to the gym at least a few times a week, get a mani-pedi or massage every now and then, and most recently I made time to whiten my teeth. 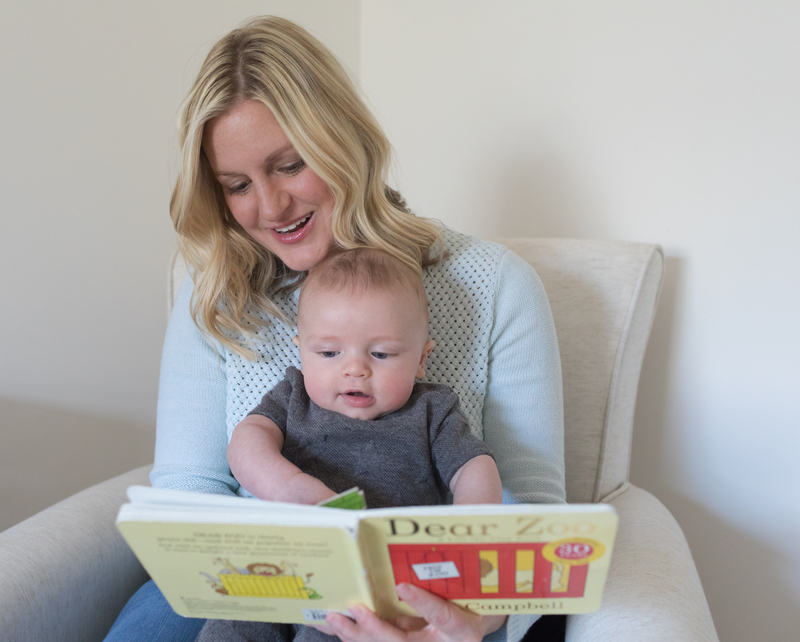 When I was pregnant with Teddy, I started to feel like my teeth needed brightening after years of running on coffee! Now that I’m out of the newborn haze I felt like I could dedicate some time to make that happen. I am really happy with my results after using the Smile Brilliant teeth whitening system. The system was super easy to use! After I received the kit in the mail, I made my impressions using the paste which only took about 15 minutes. Then I placed them in the prepaid envelope and mailed them back to Smile Brilliant. The lab then created my trays using an exact model of my teeth from the impressions. 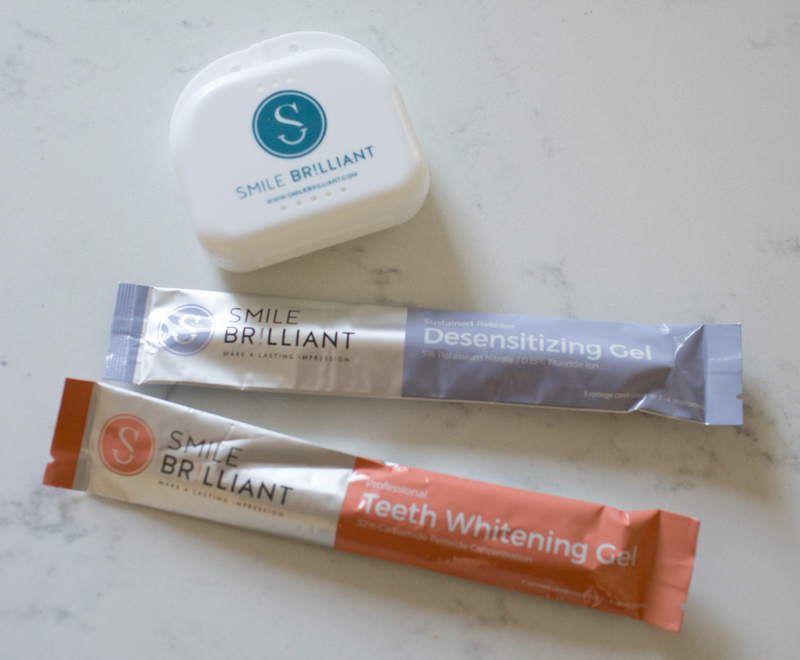 Once I received the customized trays, I began the whitening process – about 45 minutes with the whitening gel followed by 20 minutes with the desensitizing gel. I completed about 10 treatments to get my pearly whites! If you are thinking of trying Smile Brilliant but still have questions, feel free to ask me or check out these 10 facts about teeth whitening and the Smile Brilliant FAQ. You can read other people’s testimonials too. GIVEAWAY!!! 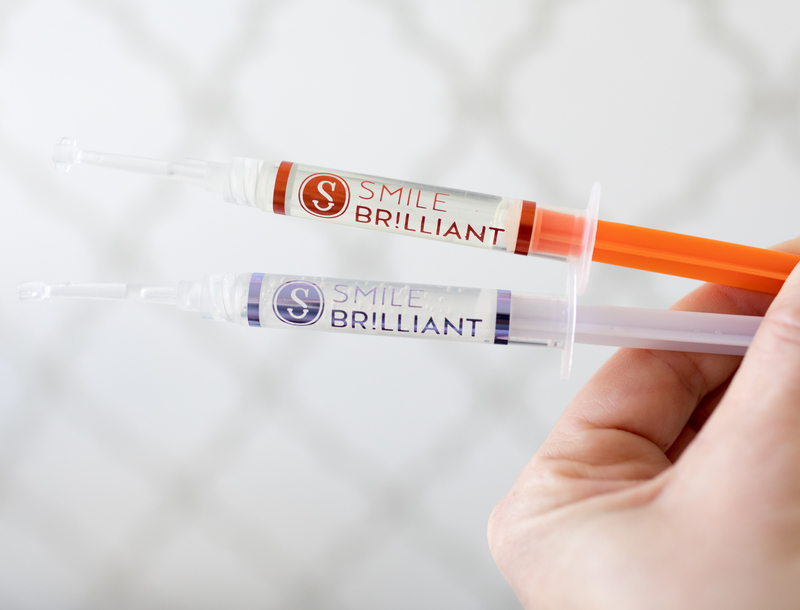 I’d love for one of you to get the chance to try Smile Brilliant for free! So I’m giving away a kit to one lucky reader! Enter here for your chance to win. And if you simply can’t wait, use this code capitolmomma15 for $15 off your kit. You can order one here. *Giveaway is open for two weeks. You MUST enter through the link to be counted. Giveaway is for $149 credit- and is open to USA, UK, Canada, and Australia residents. 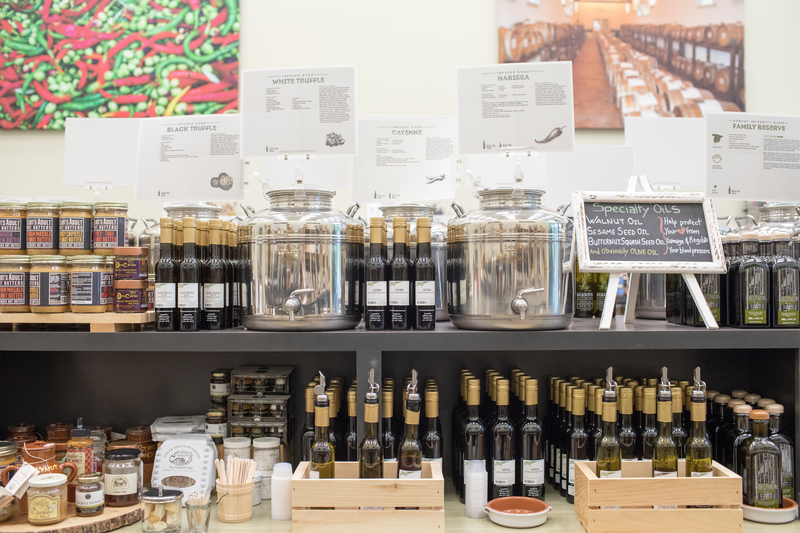 Seasons Olive Oil & Vinegar Taproom – Giveaway + Discount Code for Teacher Gifts! I really can’t believe that the school year is almost over! Most local schools are all wrapping up within the next 3 weeks. I’m sure I’m not the only mom who feels like the year flew by! And this was just our first year with a Kindergartner, so I have a feeling it will only get faster from here on. Thankfully we were blessed with amazing teachers and I really want them to know how much we appreciate them. So for our end-of-year teacher gifts we went to Seasons Olive Oil & Vinegar Taproom in North Bethesda, MD. 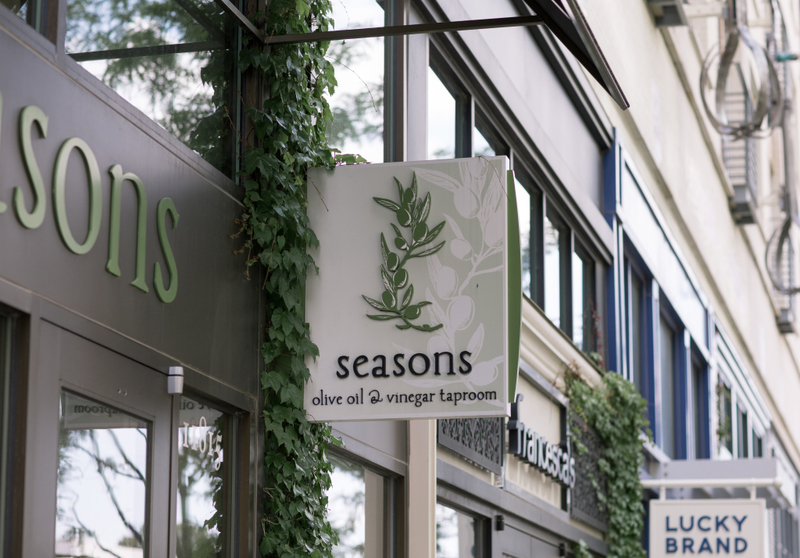 Seasons Taproom is a small, family owned business located in the Pike & Rose neighborhood in Bethesda. If you haven’t been yet, I highly recommend a visit soon! 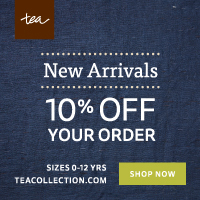 They also have locations in Annapolis, Bethlehem, PA, Lancaster, PA, and Morristown, NJ. 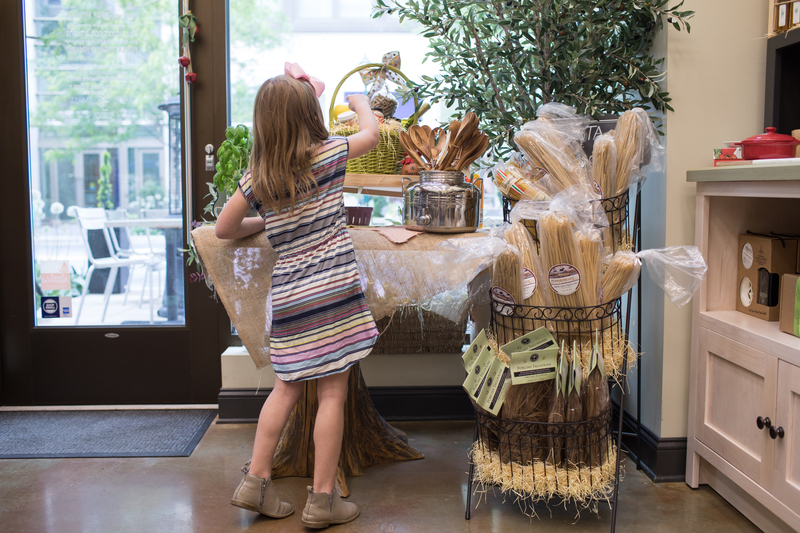 If you love cooking, then you will be in heaven at this store and if cooking isn’t your thing, you will still be able to pick out the perfect gifts for your kids teachers! 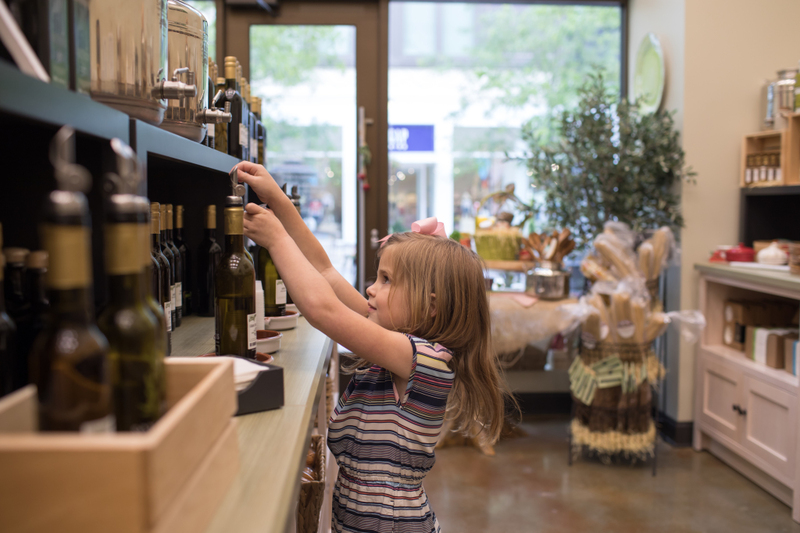 The store is beautiful – sparkling clean and well organized. 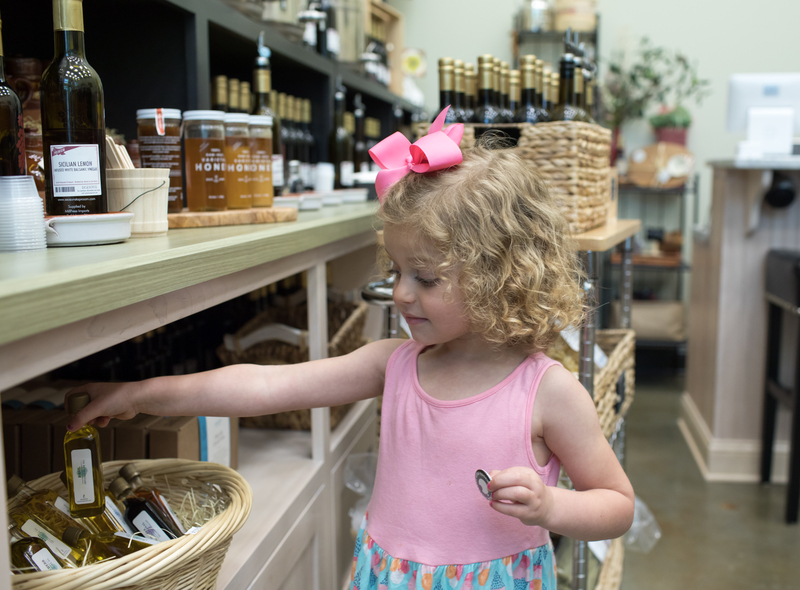 You are encouraged to sample all the many flavors of olive oils and vinegars. Some of the different flavors of olive oils are Blood Orange Fused, Cayenne Chili Fused, Lemon Fused, Rosemary Fused, and Garlic Infused. These are just a few – there are many, many more unique flavors. Seasons also carries whole fruit balsamic vinegars, dark balsamic vinegars, white balsamic vinegars, and wine vinegars. 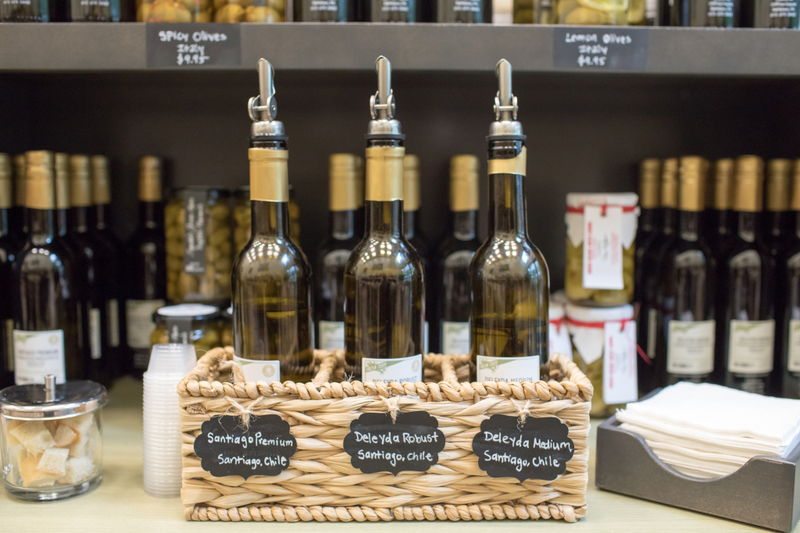 Seasons carefully selects the olive growers that they work with to ensure they are only selling a fresh, quality product. They also directly import their products to deliver a high quality product at a low price. I will never again buy my olive oil from the grocery store after tasting Seasons oils! There is such a huge difference in the taste and quality and the price is comparable to the local grocery store. The manager at the Bethesda store is Lamia and she is so incredibly knowledgeable about all the products they sell. If you have any questions at all, she will be able to answer them! When my girls and I visited the store to pick out their teacher gifts, Lamia first had us tell her about each of the teachers. Then she helped us select an appropriate gift for each of them. For the teachers who enjoy cooking, we selected a bottle of olive oil and a bottle of balsamic vinegar. For another teacher who doesn’t particularly like cooking but has kids to feed, we selected a gourmet pasta and a sauce to go along with it for a quick and easy meal. And for one of my daughters preschool teachers we chose an olive oil lotion and soap. We had 5 teachers to buy for this year and we were able to get each of them a nice gift without breaking the bank. My girls are so excited to give them to their teachers and I think they will love what we picked out! • Free 2 hours of parking at Pike & Rose. • Seasons ships FedEx ground flat fee of $9.95 up to 12 bottles. Continental US only. Orders can also be placed by phone (301.881.0410) and delivered free of charge in Montgomery county and the District. 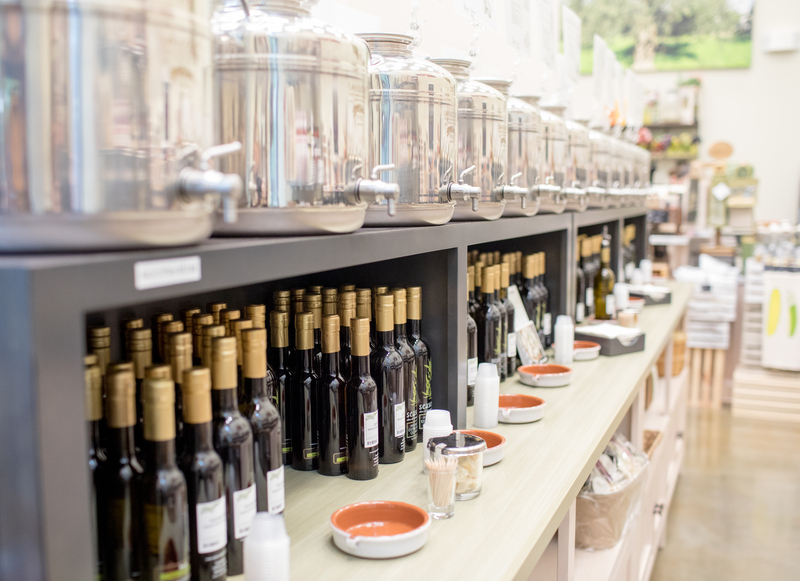 • Seasons offers Olive Oil 101 classes and private tasting events. • Slow Food DC recently awarded Seasons Taproom with the Snail of Approval. 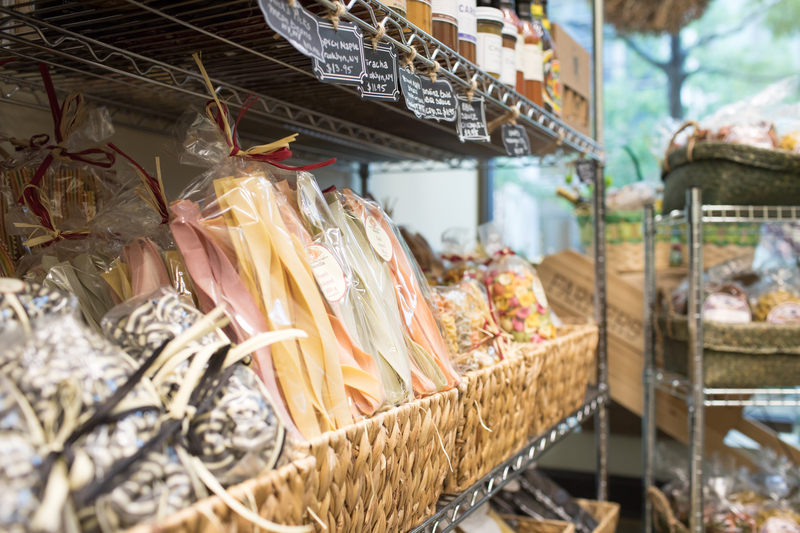 • Seasons supports other small, family businesses by carrying small-batch local products. GIVEAWAY! 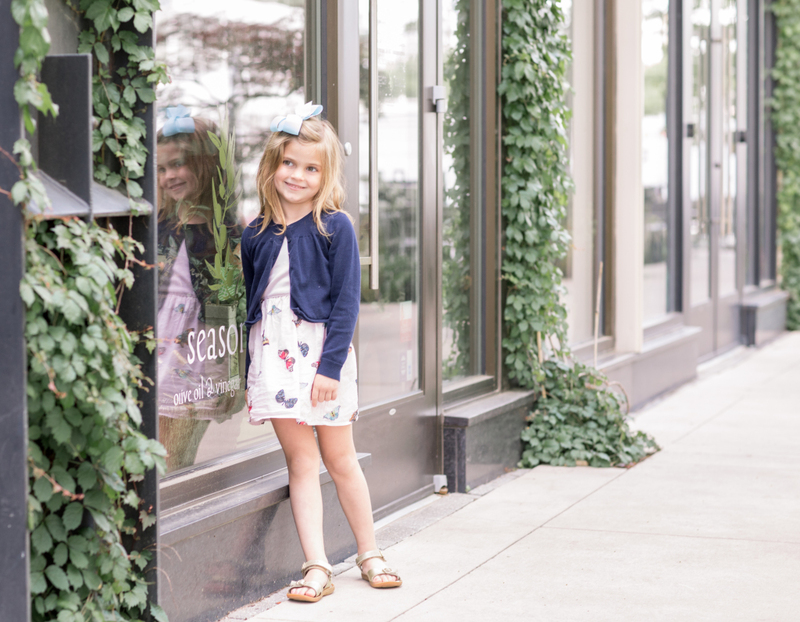 – Readers who like Seasons and follow on Instagram and/or Facebook will be entered for a chance to win a $50 gift card! To enter, follow Seasons Olive Oil & Vinegar Taproom on Instagram @seasonsbethesda and/or Facebook and comment to let them know that Capitol Momma sent you. You will be automatically added. That’s it! The Rules: Limited to the DMV area. Up to two entries per person following the above specifications. Commenting will open Friday, May 26 and close on Wednesday, May 31 at 8:00 pm EST. Entries that do not follow the entry requirements will not be considered. Two winners will be selected at random and contacted via email later next week. Good luck! 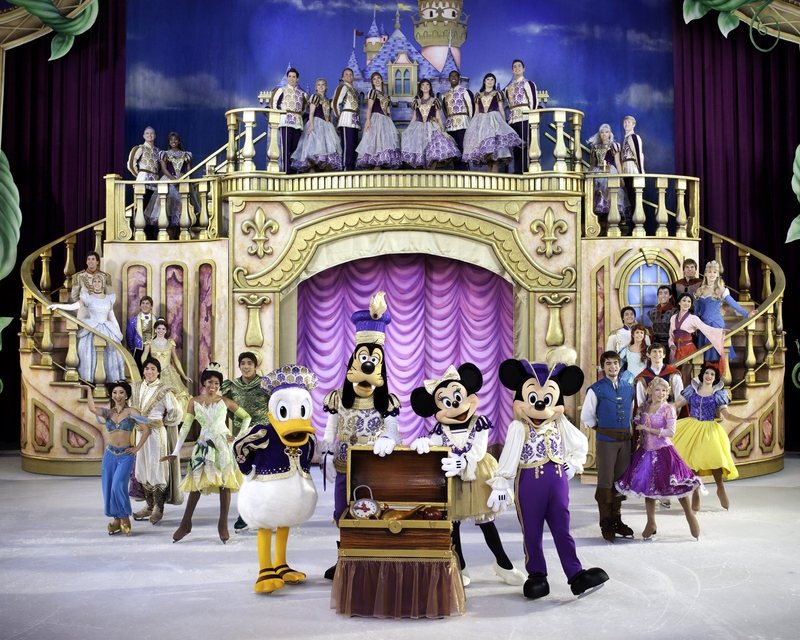 Disney On Ice Presents Treasure Trove + Giveaway! 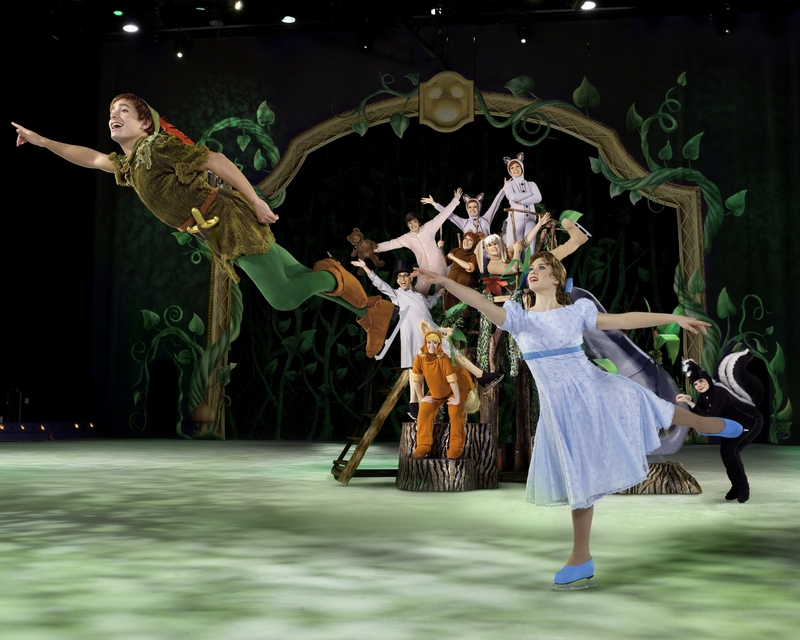 DISNEY ON ICE PRESENTS TREASURE TROVE PRESENTED BY STONYFIELD YOKIDS ORGANIC YOGURT IS COMING TO WASHINGTON, DC, FEBRUARY 10-15! 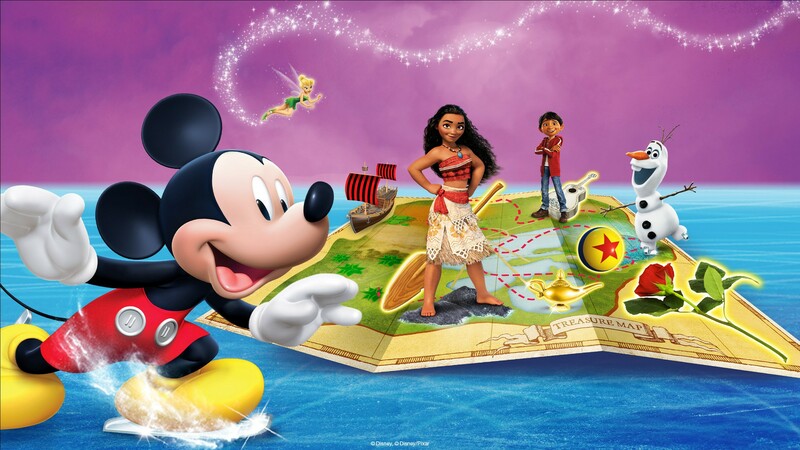 Produced by Feld Entertainment, Disney On Ice presents Treasure Trove is performing at the Verizon Center in Washington, DC, February 10-15! I am giving away a family 4 pack of tickets to the show on Wednesday, February 10th at 7:30pm. Leave a comment below to enter. Winner will be chosen by random on 1/29/16. Must be 18 or older to enter. Get tangled up in Disney’s 50th animated feature with Rapunzel and Flynn and enter the worlds of your other favorite Disney princesses –Tiana, Cinderella, Jasmine, Ariel, Aurora, Belle, Mulan and of course, the one who started it all, Snow White. Ahoy, Mateys! Set sail with Peter Pan, the always sassy Tinker Bell and the cantankerous Captain Hook and his pirate pals on an adventure beyond Never Land! Trek the wilds of Africa with Simba, Nala, Pumbaa and Timon as they discover the true meaning of the ‘Circle of Life.’ Tick-Tock! Tick-Tock! Don’t be late to a very important date with Alice and the Mad Hatter as they march with the Queen of Hearts’ Army of Cards. Set a playdate with Woody and Buzz Lightyear because the toys are back in town. Relive magical moments in this ultimate Disney animation celebration coming to Washington, DC! Wednesday, February 10th @ 7:30 p.m.
Thursday, February 11th @ 10:30 a.m. and 7:30 p.m.
Friday, February 12th @ 7:30 p.m.
Saturday, February 13th @ 10:30 a.m., 2:30 p.m. and 6:30 p.m.
Sunday, February 14th @ 12:30 p.m. and 4:30 p.m.
Monday, February 15th @ 12:30 p.m.